After years of work we have transgenic, stable germline multi-generational transmitted, DNA-sequence confirmed Culex mosquitoes genetically engineered in a lab here in Hawaiʻi. 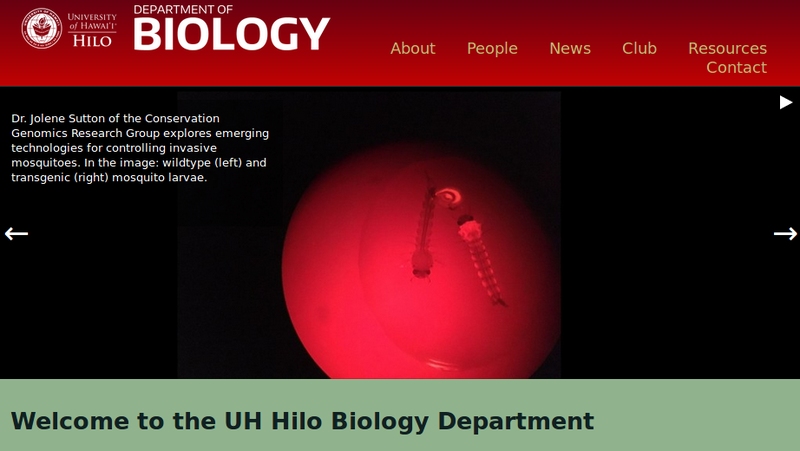 In the image above, which is featured on the UH Hilo, Department of Biology webpage, https://hilo.hawaii.edu/depts/biology/, is a wildtype mosquito larvae (left) and a transformed mosquito larvae (right) expressing a red fluorescent protein from a marine cnidarian species (https://en.wikipedia.org/wiki/Discosoma). The insert has also been confirmed by PCR and DNA sequencing and has been transmitted over a few generations. The insert contains a "self docking" site so that additional genetic modifications can be precisely added within the mosquito's genome. We are focusing on modifying the non-native mosquitoes so that they do not pass on Plasmodium, the parasite responsible for avian malaria and the ongoing extinction of many of Hawaiʻi's native bird species (https://en.wikipedia.org/wiki/Avian_malaria). However, there are other potential applications such as addressing human disease vectored by mosquitoes. Please note that this work is currently only going on within a secured lab, with biosafety review and approval, and that there is still a lot of work to do. No transgenic mosquitoes will be released into the wild without extensive characterization of the insert and proper permitting and approval according to existing laws. The main reason for posting this is to try to let people know about the work we are doing in a timely manner in order to engage the public and encourage public dialog about the promises and limitations of this kind of technology and its potential applications. This entry was posted in Uncategorized on July 31, 2018 by Floyd A. Reed.